Oregon is home to some of the largest global corporations and industries like Nike and Adidas US. The state is a major producer of lumber, oil and multiple agricultural products, hydel power and more. With a healthy economic environment, the state offers a diverse platform for new and growing businesses. Various forms of agriculture, fishing, and hydroelectric power, food processing and electronics are the primary contributors to the state’s economy. Technology is one of the state’s major economic contributors with big names like Tektronix and Intel. If you are planning to start a business of your own from home, here’s a complete guide on how you can start a successful business in Oregon. Individuals and freelancers now run websites or blogs full time to earn money. If you are an expert or have some experience with AdSense, you can start helping others do it properly. Paid internet marketing with Google remains a top favorite among bloggers. You can help freelancers make money with AdSense or charge them to manage their Google AdSense. The state offers different types of soil and diverse landscapes providing an ideal environment for several types of crop farming. The famous crops are produced sheep, dairy products, eggs and poultry. Are you a social media person? Well, there are companies who need avid social media users to manage their accounts remotely. You need to manage the company’s Facebook, Twitter, or Pinterest and you will be paid to put your expertise to work. Find the jobs on sites like UpWork, Flexjobs or CareerBuilder. Are you good at some subject? Well, you can start to teach high schoolers. There are freelance teachers who make more than $100 an hour with a year of experience. You can start to offer services in your locality or even teach online. Oregon is the largest hazelnut producer in the United States producing around 95 percent of the domestic hazelnuts. You can start to produce and export hazelnuts to different states and countries. If you good with taxes and finances, do an online course to get certified. Within a few months, you can start to help other people manage their finance. Small businesses and individuals need help to prepare tax returns and find investment alternatives. Tourism plays a major role in the state’s economy. With natural landscapes like mountains, forests, waterfalls, rivers, beaches and lakes, it has millions of visitors visiting the state every year. You can start to offer travel services via an agency like ticketing, hotel booking, guides and more. Sites like Flexjobs, CareerBuilder, Indeed, or Upwork offer a ton of options to work as a virtual assistant. You can work for anything with a fixed schedule and timely payments all from the comfort of your home. If you run a website or have some idea of how to promote something to targeted traffic, you can start to make money with an affiliate. Some of the best affiliate networks are ShareASale, Rakuten, Clickbank, and Skimlinks which you can use to make money from home with the content you already produce. Companies around the world need part-time writers for their blogs, social media posts, PRs and more. You can work from home and will be paid for your assignments you complete. You can even run a blog of your own to promote your expertise. If you have the experience, you start to help new businesses establish themselves. Thousands of small businesses are joining in every month in Oregon, and owners need help with marketing, strategy, manufacturing and distribution. With a massively growing market, custom phone case business is a hit across the globe. You can start producing custom phone cases with the latest designs or take orders on per piece basis. You can start a website to take an order online and offer your services from a single place. Business plans play a crucial role in shaping up your business. If you are ready with an idea, first start working on a feasible plan. Chalk out the strengths, o through all the possible threats your business can face, select the objectives and set your goals. 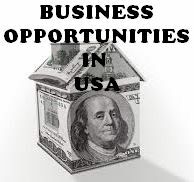 Oregon offers a healthy business environment with options to have investment for your new business. You can approach angel investors and venture capital firms for investment or even go for crowdfunding. If you wish to self finance your business, there are multiple financing options available at attractive rates. A name is required to officially register your business. Find a name, go for something meaningful and with fewer syllables. Try a business name generator for more suggestions. Once you finalize your name, register it with US Trademark department and buy a domain immediately with the same name. You have to choose a business structure for your business in Oregon to be legally operational. Either you can go for an LLC or sole proprietorship or a corporation. If you opt for an LLC structure, you can enjoy added tax benefits with legal advantages like no individual legal liability. You don’t require a general business license in Oregon. But for a few types of businesses, you must register with the Secretary of State’s, Corporation Division. This will fall under the Central Business Directory. Now you need to apply for a Federal Employer Identification Number (EIN) at the IRS. This will act as your social security number for business allowing you to be legally taxed. An EIN is also compulsory to open a business bank account. Apply for a business bank account. This will help you to maintain all your financials separately. Next up get a reliable business accounting software for easy management of transactions. Setting up a business accounting system will help you to file your annual taxes without any hassle. The business insurance in Oregon regulated at the state level. You need to get general liability insurance. It is required by the state for most business owners. You will also have to get a workers compensation insurance if you hire an employee. Once you are done with the setup in Oregon, it’s now time to take the word out. It’s recommended to go for a professional agency for promotions. You can also use social media to explicitly promote your new business on the internet. Oregon is one of the most economically progressive states in the country. Hopefully, this hands-on guide on how to start a successful business in Oregon will help you to start a business from home with a little investment.